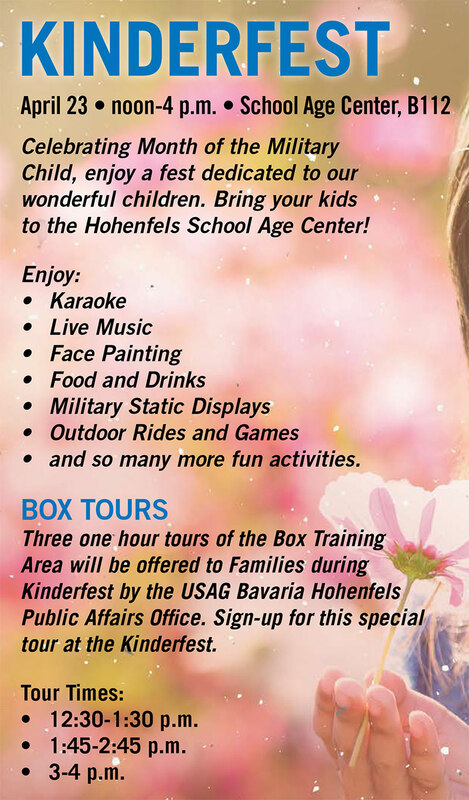 GRAFENWOEHR, Germany — April is Month of the Military Child. 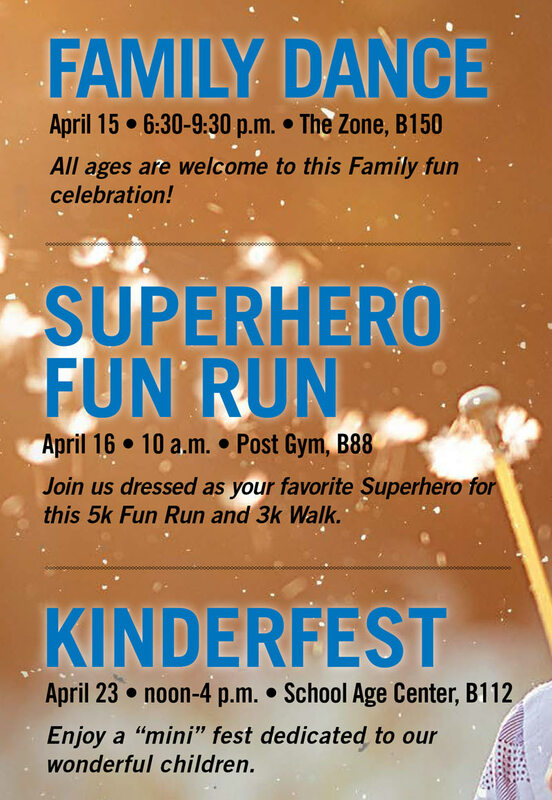 From deployments to new schools, military children are faced with unique challenges that ordinary youth their age never experience. Their ability to adapt to present and future changes deserves our respect and admiration. 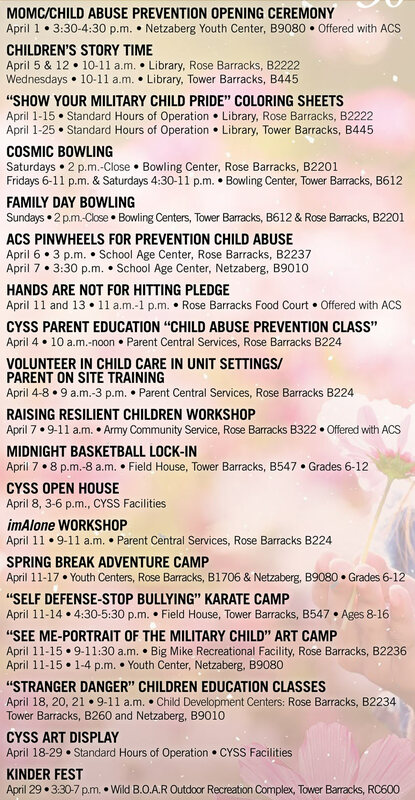 In an effort to recognize the hard work- and applaud- the courage of military children, the Department of Defense has deemed April as the Month of the Military Child. It is a time to honor military youth for the important role they play in contributing to the strength of the Army Family. MOMC also reaffirms the Army’s commitment to ensuring excellence in schools, childcare and youth services as well as, providing a strong supportive environment where children can thrive. 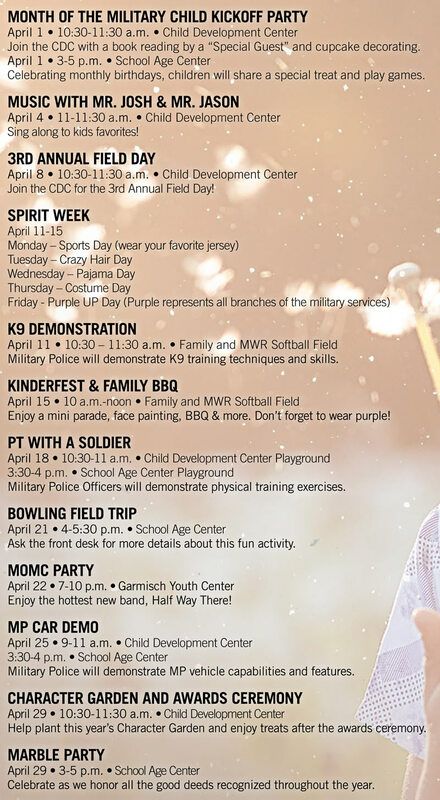 USAG Bavaria Family and MWR, has tons of events to celebrate the Month of the Military Child at Tower Barracks, Rose Barracks, Hohenfels and Garmisch.